The PocketBeagle is BeagleBone stripped down to its core: A processor, power regulation, plenty of pins, and nothing else. The result? A board with the full computing power of its big brother, the BeagleBone black, but that fits in a mini-mint tin, and sells for half the price. It’s a dramatic trade off. Gone are the wired ethernet adapter, the barrel jack for power, the raised headers. BeagleBone wants you to take the savings of this board, and buy the extras your specific gizmo needs, not the ones the average user might want. Customizability is the name of the game with the PocketBeagle. Its 52 connectors start off configured to support twin I2C hubs, 2 SPI busses, and two more USB connectors broken out to their individual pins, in addition to a generous allotment of ADC and PWM connections — a set of connections that should allow you to wire whatever you need to the core. Don’t like that configuration? It’s just the starter. PocketBeagle’s pins can be redefined as you see fit. Trade USB hubs for I2C hubs, or vice versa, to support whatever devices you want to attach. 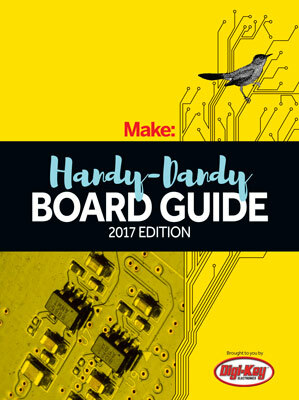 You want a smaller, cheaper board, and the standard bells and whistles aren’t needed on your project. You need to fit the maximum computing power into the smallest space.